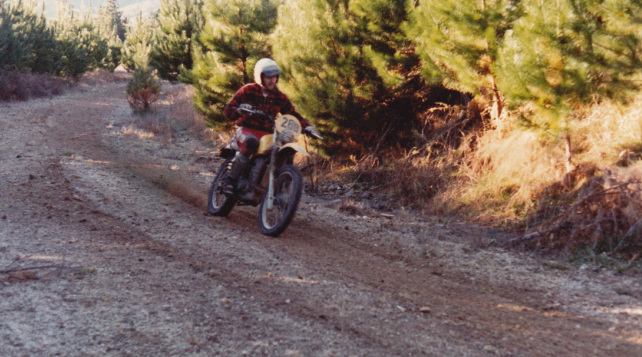 Phillip Thompson 1979 Under 200 NZ Enduro Champion. 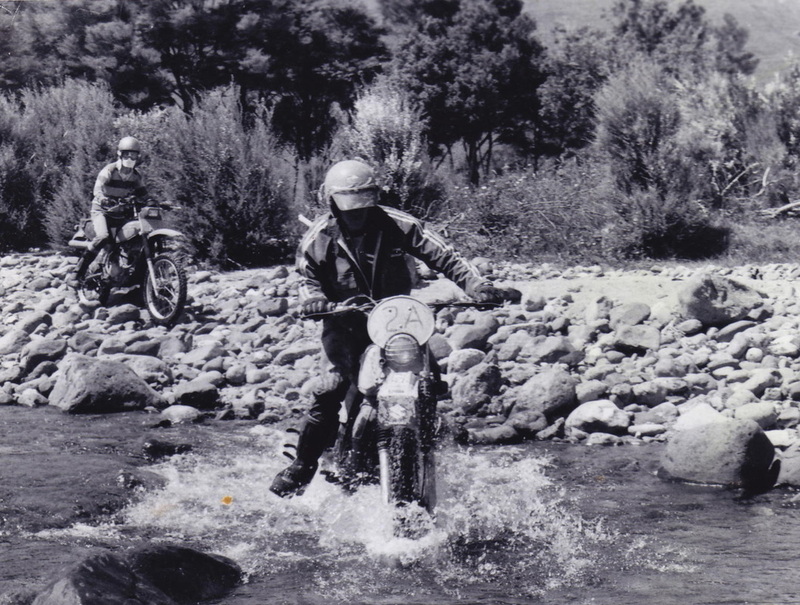 1979 was a pivotal year for enduro in NZ with more interest in the sport from across the country. Major rule changes and individual North and South Island Championships were also instated and despite some controversy over the tough nature of many events, interest was growing. Darryl August was just one of a new crop of rising enduro experts. The close of the 1978 season had seen pressure from interests opposed to the what was seen as the uncompromisingly tough events of the first half-decade of the sport in NZ. Following a ‘please explain’ letter from the NZACU (Motorcycling NZ) National Co-ordinator Phill Thompson proposed the phasing in of a version of the FIM enduro format, albeit with major modifications for NZ conditions. All organisers agreed to the proposals, some it must be said, with reservations as there were to be fair a body of riders and many organisers who preferred the USA style enduros run during the first five years of the sport in NZ. The new rules would mirror the FIM ISDE system and require easier trails sections with more generous time allowances, supplemented with at least two special tests per day. Elapsed time in special tests was now to be added to minutes lost in sections. Rather than fully adopting the FIM’s complex system of real time scoring a unique Kiwi half way solution was devised. The USA flip cards were retained for simplicity with each minute divided into 50 points with seconds in special tests rated at one point per second, in effect decimalising the awkward to compute standard time of 60 minutes per hour. 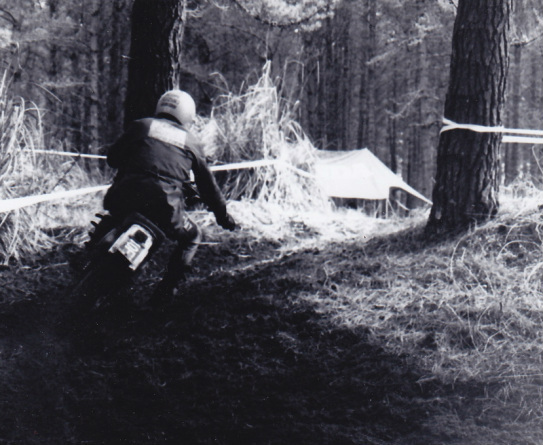 Furthermore the new rules stipulated ‘easier terrain and looser section times’, so that the elusive ‘average’ rider ‘could complete sections without time penalty’ and ‘special tests would decide results.’ Previously under the USA scoring rules, minutes lost in sections were all-important and had the effect of steering organisers towards more difficult terrain and tight sections times so as to ensure a clear result. Special tests when used were tie-breakers only and usually a short dash around some pegs and held at the end of the ride. The Taupo Ringbuster was one of the new events on the NI calendar. Frosty too. Equally significant perhaps were the new Island Championships. Then as now successive co-ordinators had battled with the need to represent championship rounds in both islands, and at the same time acknowledge that the majority of riders were NI based. Even so interest was growing in the South Island with more events coming on stream and some very promising SI riders coming into contention. Now there was a chance for riders to also contest an entire series within their own Island. 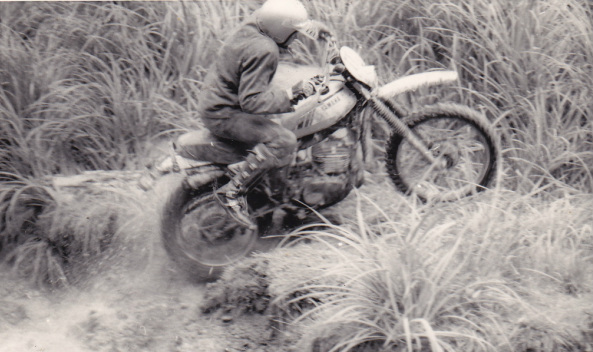 In addition organisers were encouraged to provide a non-championship Clubman’s class with deviations around more difficult obstacles, in effect further watering down the degree of terrain difficulty. The National and SI Championship and were conducted over six rounds, with four rounds counting and the NI title over seven rounds with four rounds counting. Paul Swift, the first South Islander to win a NZ Enduro Champs. 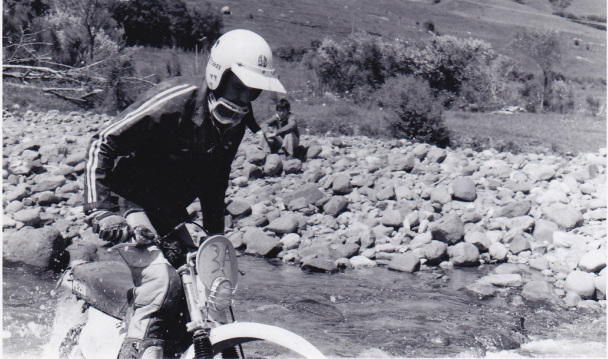 Along with rule changes the 1979 season introduced several new riders who would become NZ Enduro Champions and at the same time widen the depth of competition. Trials Champion Paul Swift would become the first South Islander to win a NZ Enduro Championship title. The NZ Championships were again held over six rounds, three in each Island. Despite winning a round and tying for the win at another, defending over 200cc Champion John Nicholson had a horror season on the new XR250 with mechanical disasters in two further rounds. Meanwhile Swift remained consistent as were promising Manawatu newcomers Stuart Meade and Darryl August. The under 200cc class was strongly contested by defending Champion Phillip Thompson from Peter Van Dingenen, South Islander Russell Hurring and John Jamieson. Barry Reiher who had shown glimpses of brilliance in 1978 strung together two emphatic wins, but then suffered two mechanical DNFs to halt his first serious title chase. Stuart Meade another top new rider from the Manawatu. The North Island Series was a seven round affair with an additional three additional rounds. Barry Reiher added consistency to his already displayed speed to dominate the under 200cc class, while Shaun Stanbridge and Barry Watkins also emerged as a new contenders. In the over 200cc class John Nicholson again found consistency while Stuart Meade, motocross star Les O’ Brien, Lester Yates and Daryll August all made a significant impact. Barry Reiher switched to the PE175 part way through 79, emphatically winning the North Island Championships. In fact most events in the 1979 season did turn out as to be easier rides and though some of the established riders did not find the new special test system to their liking the new rules and easier courses were generally well received by newcomers. While there were several retirements among the old guard more significant were a new group of riders who would go on to become dominant in the sport. Complementing the rule changes were the latest crop of lighter, better handling specialist enduro models from Japan. The new Honda XR models though lighter, better suspended and faster than the heavyweight XLs they replaced, were not the improvement the Honda Team were hoping for. However the new two stroke offerings from Suzuki and Yamaha were sensational. Both the PE and IT models were based on the latest MX designs and delivered plenty of power and handling with very low weight. Plentiful stock at good prices meant that enduro models were leaving the showroom as fast as they could be assembled and interest in enduros would continue to grow in 1980. The final act of the 1979 season was the retirement of Phill Thompson from riding and National Co-ordinator and the election of Barry Reiher as new Co-ordinator. NZ Teams. 1. Team Moller Yamaha, 2 Team Blue Wing Honda, 3. Motorcycle Supplies Te Aroha 4. Waitemata MCC. Teams. 1. Mc Kay/Donaldson, 2. Taieri Motorcycles, 3. Bower /Swift Motorcycles, 4. Honda CRC, 5. Hollands Christchurch.